class="post-template-default single single-post postid-337685 single-format-standard group-blog masthead-fixed full-width singular wpb-js-composer js-comp-ver-5.7 vc_responsive"
Lincoln, Neb. — Results from the 2018 Nebraska Rural Poll show that most Nebraskans are positive about their community and current situation and optimistic about the future, but Panhandle residents are more pessimistic. Fifty-two percent of respondents to the Rural Poll — the largest annual poll of rural Nebraskans’ perceptions on quality of life and policy issues — said they were better off this year than five years ago. Only 13 percent said they were worse off, the lowest proportion in all 23 years of the poll. This optimism was also reflected in their outlook on the future, with almost half believing they’d be better off in 10 years. The percentage of respondents who thought they’d be worse off decreased slightly from 20 percent in 2016 to 16 percent this year. The poll was conducted in the spring. In general over the past 23 years, more rural Nebraskans surveyed believe their community has changed for the better during the past year than believe it has changed for the worse. In fact, the gap between those two opinions has widened during the past seven years. A similar trend is present when asked how residents believe their community will be 10 years from now. The proportion of respondents believing their community will be a better place to live in a decade has steadily increased during the past eight years, from 20 percent in 2011 to 29 percent this year. Despite the overall optimism across the state, Panhandle residents surveyed were less positive about their community and well-being compared to residents from other regions. About one-third of Panhandle residents surveyed said their community had changed for the worse during the past year. Similarly, 28 percent said their community would be a worse place to live 10 years from now. One-quarter said their community was powerless to control its own future. Panhandle residents were more likely than residents of other regions to be dissatisfied with retail shopping, entertainment, restaurants, quality of housing, local government and cellphone service. They were also the regional group most likely to be dissatisfied with job opportunities. The pessimism continued when asked about their current situation. Just more than four in 10 Panhandle residents surveyed said they were better off than they were five years ago, compared to almost six in 10 residents of the south-central region. The reorganization and drawdown of jobs at Cabela’s in Sidney announced this spring could be a major factor influencing the region’s pessimism. Cheryl Burkhart-Kriesel, extension professor at the Panhandle Research and Extension Center in Scottsbluff, said the economic impact goes beyond Sidney. 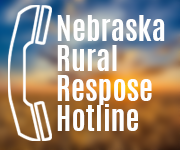 The Nebraska Rural Poll was sent to 6,130 households in 86 Nebraska counties in March and April. Results are based on 1,670 responses, a response rate of 27 percent. The margin of error is plus or minus 2 percent. Complete results are available at http://ruralpoll.unl.edu. 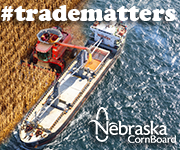 The university’s Department of Agricultural Economics conducts the poll in partnership with the Nebraska Rural Futures Institute. Funding comes from Nebraska Extension and the Agricultural Research Division in the Institute of Agriculture and Natural Resources.